Are you looking for off-campus housing? Contact us for personalized assistance with your housing search in London, Ontario, even if you aren't in Canada yet. This service is only available to international and/or exchange students studying at Western University. Customized housing searches based on your needs. Personal property viewings on your behalf. Assist with your questions about off-campus housing, London services and amenities. Email ocha@housing.uwo.ca or call 519-661-2111, ext. 85925. This service is offered from early May until the end of August each year. **Please note this service is intended to connect you with housing. We are not involved in the finalization of securing a rental or make any guarantees regarding your living experience. Top Ten Tips for Off-Campus Housing Success! Search for available Rental Listings. If you are interested in renting for a few months (3-4), you may want to check the rentals listed in the Sublet* sections. London has a wide variety of rentals with varying price levels. Remember: Never rent a place without seeing it first yourself! View at least five rentals & bring along the Accommodation Comparison Chart to keep track of the places you visit! 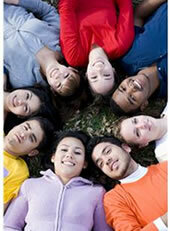 Living with unfamiliar people, might be a new experience for many students. To ensure that you and the people who will be sharing the same house/apartment have similar lifestyles and financial resources, we recommend you complete and sign a Roommate Agreement . Read the Renting in London document to learn about provincial rental laws and issues other student tenants have encountered. Do you want to be close to a bus route or do you prefer walking? Learn about the different housing areas in London. City bylaws: To create a more peaceful and friendly environment, cities in Canada have created different laws and rules; these are referred to as "city bylaws". Failure to comply with these may result in a fine. Examples of some of the regulations outlined in the City bylaws are: Alcohol, noise offences and no overnight parking on city streets. Make sure you review these so that your stay in London is a pleasant one. Housing Mediation Service at Western is committed to helping students with their questions and the situations that may arise when living off-campus. For example, you can contact them for help with understanding the wording in your lease agreement. Can't remember which day to put out the trash? Get a schedule for London's 8-day garbage collection so you won't miss a pick-up! Is there a smoke detector outside the sleeping area? Check! Make sure your rental is up to provincial fire code. Want a student's opinion about your housing questions or issues? Contact one of Western's Off-Campus Advisors. * Sublet: transfer of a rental lease. For example, if someone is currently holding an eight month rental agreement, and would like to only live in that place for only four months, she/he can rent the remaining four months to another person, thus the third person will be renting not from the property owner but from the person who is on the original lease agreement. This is a common practice in Canada and it is referred to as "subletting".